Panic attacks, social anxiety, post traumatic stress disorder (PTSD), phobias, psychosexual problems, obsessional compulsive disorders (OCD), raised stress levels and anxiety related to work, money, health, surgery, childbirth, terror threats and dying are a problem for increasing numbers of people – causing untold suffering and costing the taxpayer huge sums of money. Prolonged and excessive anxiety also makes us susceptible to a wide range of mental health disorders and physical illnesses. But we needn't put ourselves – or those we care for – at risk like this. On this popular course, Joe Griffin shows you the best ways to reduce anxiety and successfully treat a wide range of anxiety-disorders. He also explains the evolutionary basis of anxiety and looks at why it isn't just ill health that causes anxiety in normal people but anxiety that causes ill health (for example, when raised anxiety levels suppress the immune system). This indisputable mind/body link makes it essential that all health and welfare professionals are equipped with the knowledge and skills to reduce anxiety in people quickly – in order to reduce suffering and offer more effective treatment and care. 'Understanding Anxiety' is based on our one-day seminar of the same name. This online version is split into 4 modules, each of which are broken down further into different sections containing filmed lectures given in English by the tutor, Joe Griffin. 'Understanding Anxiety' is also a required module of Part 1 of the Human Givens Diploma, so by successfully completing this online course you will also have completed a part of this highly respected qualification. Very good although I was disappointed that there was no video of Joe doing a live session as this was one of the main reasons I bought this online course, having attended the day 6 years ago. Also, a few of the multi choice question options were not visible on one screen. It took me a while to realise this and I wasted time failing 2-3 of the answers to the quizzes as it took me a while to realise that I hadn't seen all the options! Understanding Anxiety - and managing it wothout drugs. I found the course was presented in a way that made it interesting and held that interest. So many times when having to complete e-learning particularly in my work it has been so boring you find it very hard to maintain interest and take the information in. Often the questions are all at the end, interspersing the videos with the questions as you worked through helped. I must admit before I completed the course the thought of e-learning made my heart sink, but this has restored my faith in it being a valuable learning method. informative and simply done with great effect. i enjoyed the course very much a valuable adjunct to the book ' Understanding Anxiety' Human Givens . The course was very well presented ,Joe's knowledge enthusiasm and sense of humour make it a pleasure to do. Having been a little apprehensive about doing an online course, it being the first that I have done before, I really enjoyed it. I found the format of lecture and multiple questions worked well for me. I surprised myself by enjoying the multiple questions as it helped to reinforce my learning, and if I got it wrong I had the opportunity to go back and re-listen to the lecture. I did also find that in getting the answer wrong, I was surprised that I think it has helped me to process the information. A bit like when you make a mistake, it's at that point that the learning takes place, as you think," I'll not make that mistake again", or "I need to get my head around that better, I've not understood it yet". The content of the course was really illuminating and helpful. It helped me to understand how the brain works and feel more confident in recognising types of anxiety, understanding different methods of overcoming it, as well as, be aware of methods that require further training. Very clear lecture on various types of anxiety which I found very useful. I liked the idea of being able to dip in and out of this course to fit round my day. I liked the idea of the mini questionnaires after each section. Joe spoke very clearly and gave some useful examples. Such an amazing course thank you so much. I enjoyed every aspect and learned quite a bit, first for myself and also for the people I work with. As a life coach its my belief to build a fence on the top of the hill instead of a hospital at the bottom. The same understanding and techniques that help someone that is in distress are the same techniques that we can use to make sure that we never get to those points or at least less the risk of them. Thank you I look forward to completing all the course for the diploma. I work with American veterans daily and will use this common sense/science based approach. Thank-you a very useful and honest course. I am a hypnotherapist and I have been developing many strategies and techniques that work everyday with anxiety clients which reflect what is taught on this course. What this course has given me is the underlying understanding of why my strategies and techniques work and how to explain them to my clients. It has made me feel confident in my abilities and has clarified for me why what I do is successfull . Invaluable. I thoroughly enjoyed the course. I found the mix of video and questioning about right with each video clip lasting for an appropriate length of time. I know I will find the learning useful. My only issue was of a technical nature and might be my technology or my use of my technology. I found it difficult to access the first set of questions directly after each video, this started part way through the course. I got around it by going back to the video and then moving on and then the file would open. This was just a minor irritation of a very well put together training package. 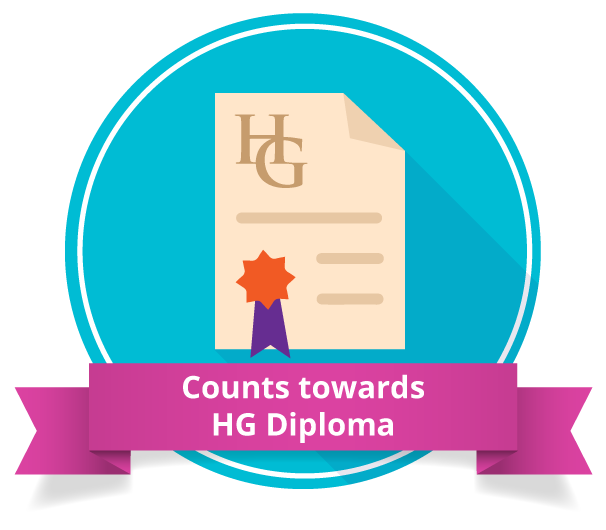 HG COLLEGE: Thanks for the feedback Ruth, you do need to click the next button to mark that section complete so you can view the questions, this might be why you experienced difficulties, but we will get our technical team to look into it. With anxiety on the increase, if you want to help, you must take this course. I found this course accessible, interesting and useful. I have already begun applying the concepts and techniques in my own life - they work! This day long course, which can be dipped into and studied online at one's leisure is clearly and helpfully presented by Joe Griffin who conveys the many types of anxiety people can suffer from and how to manage it as a therapist. I found it very useful to hear how effective guided imagery, creative visualisations, and the rewind technique can work in a practical way with these patients. From sleep, to dreaming, to our needs and our emotional brain this analysis of how trauma, phobias, OCD and other more general anxieties can be effectively helped through the HG's practical approach means a topic which can seem daunting seems very accessible to me now. I love being able to take this course at home and learnt a lot from it. The human givens approach is an incredibly sensible, practical and caring approach to helping people and I'm very pleased I've found it – I'm going to do more of your courses as soon as I can.